Our diverse avenues of research integrate our interests in the processes that drive annual patterns of demographic variation and ultimately the factors that regulate populations over evolutionary time. We emphasis long-term research and use a combination of longitudinal observational studies and natural and controlled experiments to test hypotheses. Consistent with Archbold Biological Station’s mission of research informing both conservation and education, we work with many public (federal and state agencies) and private (NGOs, professional societies, etc) to identify conservation priorities and to effectively channel our research results into successful solutions. We engage students, both interns and graduate students, in our research and in the application of their own research results to the conservation of natural resources. Our interns are enormously important to our ability to collect long-term demographic data. We provide them with a broad array of experiences, but most importantly, the opportunity to conduct independent research. 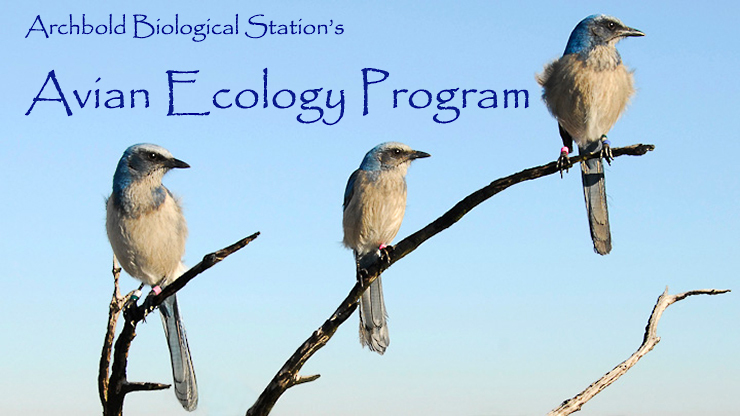 Working with program staff, interns identify their own areas of interest, formulate research questions and design experiments or series of observations to answer those questions. As will be expected of them in graduate school, they must prepare written proposals that simulate grant applications and present their final results in both oral and written forms. Interns also are engaged in regular lab meetings, paper review sessions, and seminars. 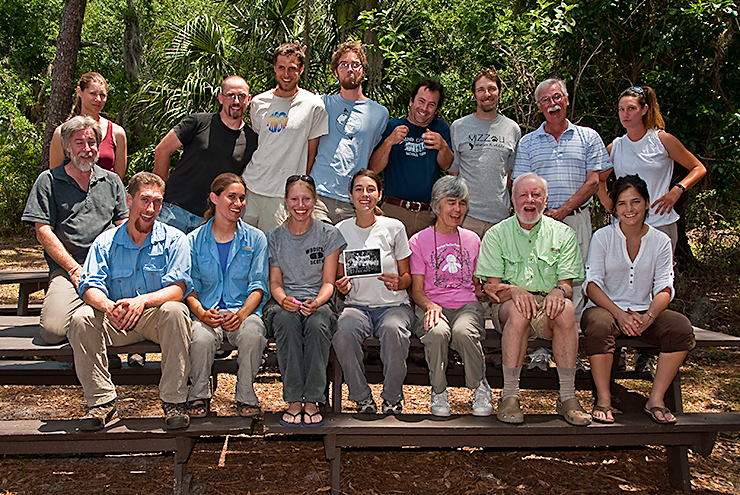 The 2011 FSJ crew of the Avian Ecology Lab, from top left: top row, Sara Bebus, Tom Small, Sam Slowinski, Alex White, Raoul Boughton, Shane Pruett, John Fitzpatrick, Rebecca Heiss; middle, Reed Bowman; bottom, Charles van Reese, Melanie Klein, Emily Elderbrock, Angela Tringali, Liz and Jack Hailman, and Holly Lutz. Missing from photo was Eli Bridge, Joe Neiderhauser, and Steve Schoech.